Even more than photographs, a wedding video truly captures the spirit and magic of your big day in living color. And, thanks to advancements in digital technology, the quality of these videos has improved dramatically over the years. With a well-crafted video of your most special day, you and your family can keep the memory alive for generations to come. That’s the very reason why you ought to get only the best Asian wedding videographers, please take some time to view our list below. 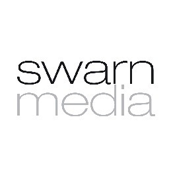 Established in 1978, Swarn Media is a family firm with over three decades’ experience in capturing the essence of our clients’ most important occasions. Creative Director Rav Bhogal ensures Swarn Media remains at the leading edge of contemporary imagery. Using the most up-to-date, professional equipment, our highly-trained team will provide you with a discreet, bespoke service designed around you, your venue and your day. If you would like to find out more about Swarn Media for your wedding, engagement of function. HS Photography is a team of two brothers, the ‘Bafta Award’ winning ‘Indi Hans’ and Anil Sakaria. They are dedicated wedding photographers that aim to provide those natural ‘moment’ shots that capture the memories of your special day. Together they bring years of inspired experience and dedication to detail. They strongly believe in delivering your memories from your moments on your Special day. If you would like to find out more about HS Photography for your wedding, engagement of function..
Vivida has become renowned for telling the story and creating dramatic imagery. Whether the story be about the matrimony of 2 people or of a business bringing satisfaction to their customers. Their desire is to move you to laugh, to cry, to talk and to act. There are so many stories to be told. If you would like to find out more about Vivida for your wedding, engagement of function. Asian Wedding Cinematography is their passion. Each of their tailored videos are filmed and edited to the highest possible quality to fit the clients needs. If you would like to find out more about Film AM for your wedding, engagement of function..